On May 11 2018, we had the great honor of hosting Dr. Andreas Gothenberg, Executive Director and Dr. Erik Forsberg, China Representative of STINT, The Swedish Foundation for International Cooperation in Research and Higher Education, which is part of the Swedish Government. STINT promotes the internationalization of projects proposed by researchers, educators and leaderships at Swedish universities. The largest bilateral program for academic mobility is with China, therefore the Academic cooperation with China is central to STINT. 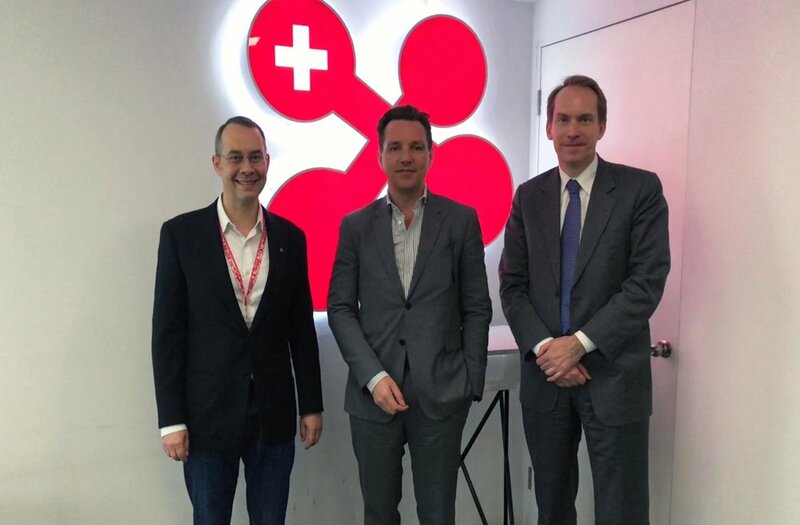 The two STINT representative visited swissnex China to learn from our business model based on public-private-partnership, namely how we connect the dots, build strong networks & communities and become a clear point of attraction for any Swiss institution seeking academic and innovation partnerships in China. Furthermore, we are delighted that Dr. Erik Forsberg decided to become the newest member representing Sweden in the Science & Technology Diplomatic Circle in Shanghai.